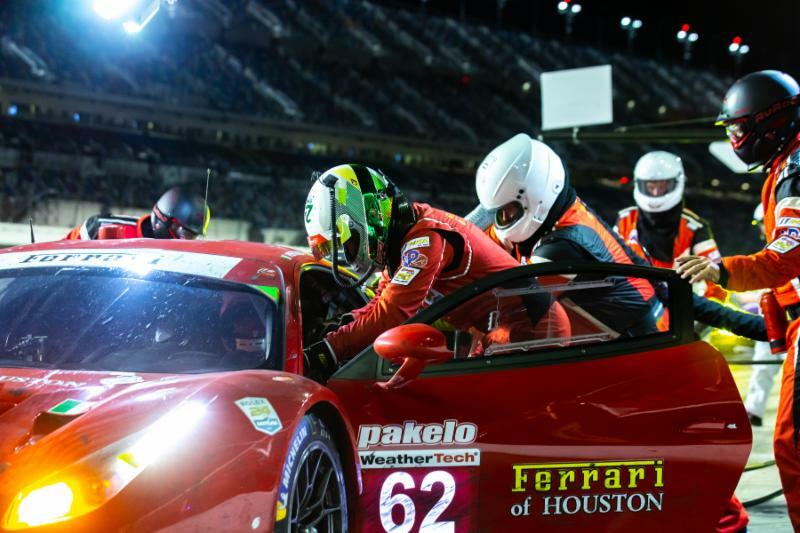 (Daytona Beach, Fla., January 27, 2019)…The Risi Competizione Ferrari Team continued with their planned strategy for the Rolex 24 At Daytona race, as they cycled through their Ferrari factory GT drivers through the night hours and into daylight. Just after the race completed the twelfth hour, the team pitted for a scheduled stop with fuel, tires, brake change and driver change from Miguel Molina to Davide Rigon. 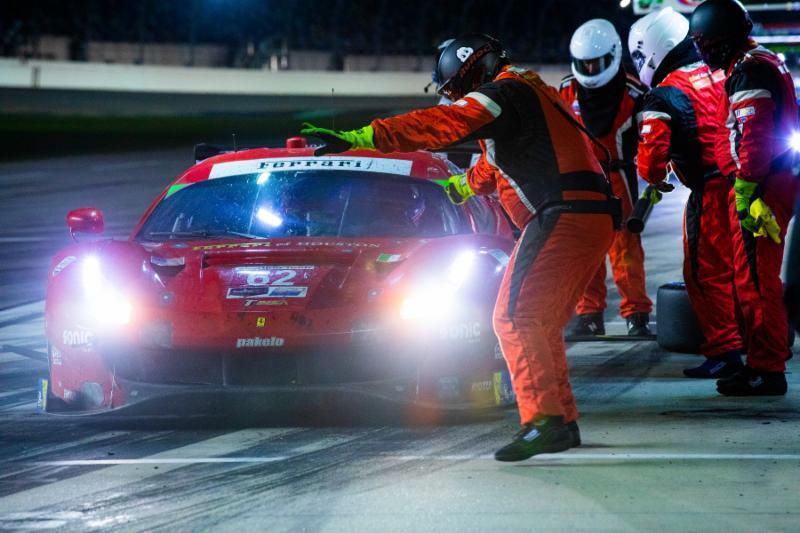 There was a slight delay with a sticky brake pad that deferred the usual speedy Risi Competizione crew’s pit stop, but with the track still under caution, Rigon was able to stay on the lead lap. Rigon drove for the next two hours and maintained the fifth position and gave the car to James Calado at 4:15 a.m. Just over 40 minutes later the skies opened up and Calado was called to the pits for rain tires. The Brit mastered an outstanding drive in the rain and climbed the leader board to the top in the GTLM class as other competitors fell by the wayside with accident damage or car issues. 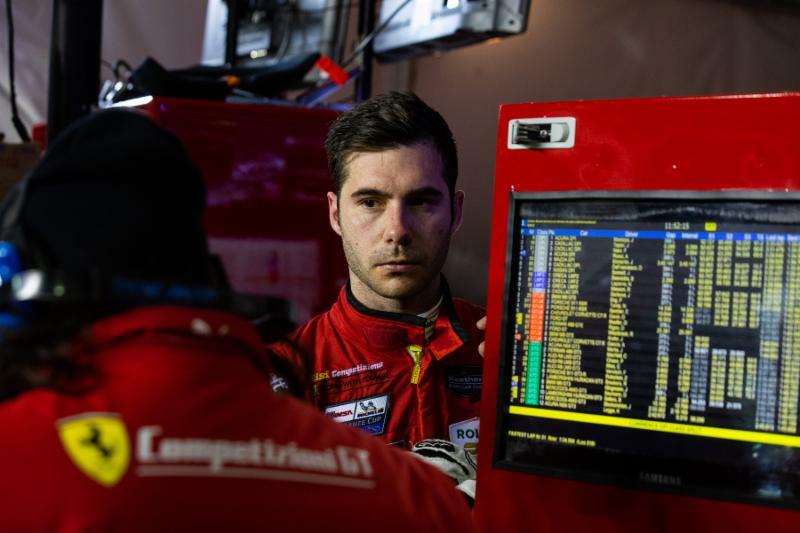 Driver change from Calado to Alessandro Pier Guidi transpired under caution on Lap 504 and Pier Guidi was soon back on top as most cars pitted. 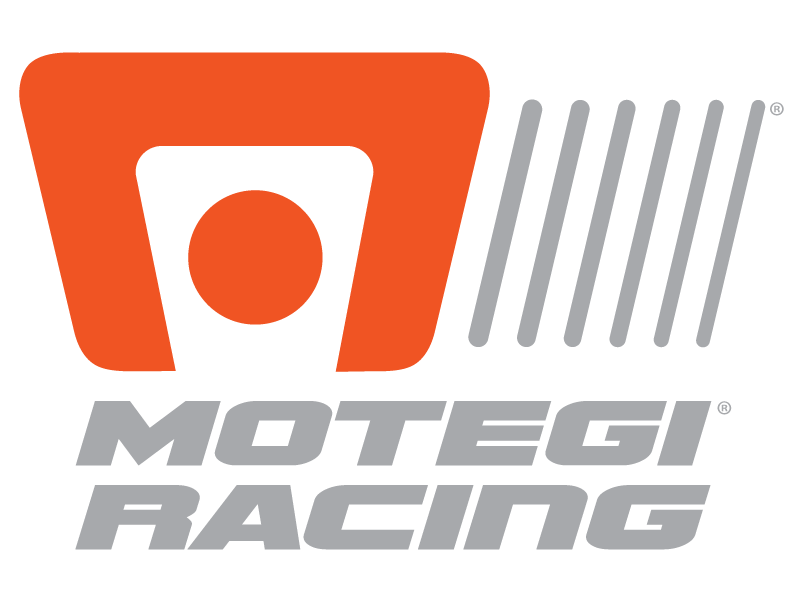 The caution was thrown at 6:04 a.m. and at 7:21 the red flag was waved when an on track incident occurred just as the field was about to go green. All competitors parked their cars on pit road and were allowed to disembark and wait at the pit while the rain continued to be too heavy for safe race conditions. All times are Eastern.